As the clock continues to run down the major foreign policy fiasco of Brexit remains unresolved. We still do not know what Brexit will look like, how exactly we will get there, or whether it will happen at all. In light of recent developments, it is now worth revisiting the question, who really has control of Brexit? The Commons’ backbenchers now control Brexit, argues Thomas Eason (University of Nottingham). As has been set out in a previous blog post, Parliament traditionally defers to the executive on matters of foreign policy. The executive handles international negotiations and, where appropriate, Parliament plays a role in the ratification process of what has been agreed. However, the last few months of the Brexit process have spun that on its head. Parliament has now rejected the government’s negotiated withdrawal agreement on three separate occasions and backbenchers have, against the government’s wishes, taken control of the Order Paper, using that time to hold two rounds of indicative votes and to pass a private members’ bill. The questions remains, who really has control of Brexit? 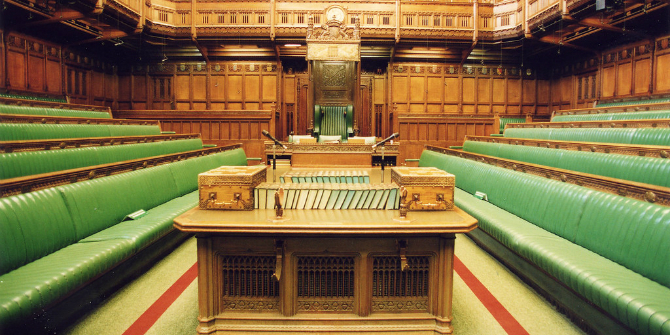 Traditionally, the government uses a mixture of majorities and party discipline to control events in the House of Commons, and the Prime Minister has approached the Brexit process in this traditional way. She has negotiated the terms of the UK’s withdrawal from the EU on the belief she could get her deal through Parliament and she finally attempted to cajole Parliament into approving that deal during the late stages of the Article 50 process. Unfortunately for her, she does not have the luxury of a majority or a disciplined party, and she has repeatedly failed to get her way as a result. Only in the last few days, with less than a week to go until a no deal Brexit becomes a reality, does the Prime Minister appear to have come to terms with the need to reach out beyond her fractured party. In this sense, it is quite clear that the government knows that it cannot rely on its own MPs for support. The Conservative Party is divided and, unable to secure a majority for its position, the Conservative government has lost control of the Commons when it comes to Brexit. With this in mind, is Jeremy Corbyn, the Leader of the Opposition, now in the driving seat? A glance at how the different parties voted during the indicative votes process would suggest that any decision made in Parliament will likely be propped up by a bulk of Labour votes, with a large majority of Conservative MPs voting against the best performing options. The significance of the talks being held between Corbyn and May therefore should not be understated. If May and Corbyn come to some sort of compromise that is agreeable to enough backbenchers, it is quite possible that May’s withdrawal agreement will successfully make its way through the Commons. However, things are not that simple. It is not clear what kind of compromise both sides would like to make or even what would be agreeable to both front benches. If a compromise can be made, the indicative votes suggest it will likely involve changes to the political declaration so there is a commitment to remaining in the Customs Union and/or a confirmatory referendum. Neither of these options are Corbyn’s first choice. In backing these options, he himself will have been forced to compromise to make up the numbers, just like May. Therefore, while it is true that Corbyn has some significant sway over the Brexit process right now, it is a stretch to say that Corbyn is in control. This brings us to backbench MPs themselves. A divided and particularly rebellious group. The Commons runs by majorities and, as is clear from the votes on May’s withdrawal agreement and the indicative votes, there is no majority for anything beyond an agreement that a no deal Brexit should be avoided. As has been established, both May and Corbyn are unlikely to get their ideal ending to the Brexit fiasco and this is largely because they cannot command the support of a majority of backbench MPs. Instead of telling MPs how to vote, May now needs to listen to backbench MPs and propose something that, while maybe not her preferred outcome, gathers a majority. Again, if the indicative votes are anything to go by, this would likely involve a non-binding commitment to staying in the Customs Union and/or a confirmatory public vote. Both proposals of which were initially made by backbench MPs. If both the government and Shadow Cabinet capitulate to these backbench propositions and whip in favour of them, the numbers may very well be there. Should this be the case, Brexit policy will have been driven by backbench MPs, not the leadership of either party. On this basis, rebellious backbenchers are the ones closest to the driving seat on Brexit. If May and Corbyn are serious about finding the numbers, it is backbenchers that are leading their parties, rather than being led by them. Linked to this, it is worth noting that (with the exception of the Speaker’s ruling on meaningful votes) it has been initiatives driven by backbench MPs that have struck some of the hardest blows to the government’s Brexit strategy. It was Conservative backbencher Oliver Letwin that was able to persuade a majority to back his proposals for indicative votes. While these votes may not have revealed a majority for any individual policy, they did provide a lay of the land and have indicated which Brexit proposals are likely to be the most successful if no deal is to be avoided. Similarly, it was Letwin that was able to persuade MPs to allow the passage of a private members’ bill through all stages of the Commons in just one day, against the government’s wishes. For those familiar with the traditional struggles of private members’ bills, this was quite a significant moment. The aim of the bill was to give Parliament the ability to compel the government to seek an extension to Article 50. By passing this bill through the Commons, backbench MPs began an attempt to legislate on how the government can proceed in international negotiations. Far from deferring to the executive on matters of foreign policy, backbench MPs are trying to compel the government to conduct its foreign policy in a way that goes against its wishes. They are attempting to initiate, rather than merely approving, British foreign policy. The government has lost control of the Commons and, to some degree, has therefore ceded control of Brexit to the legislature. That said, it would be wrong to conclude from this revelation that frontbenchers are somehow vindicated of responsibility. It was the government that decided to trigger Article 50 without testing the numbers in Parliament, it was the government that negotiated the current deal, and it was the government whose primary strategy was to uncompromisingly attempt to ram its controversial deal through a Parliament it had no majority in. Likewise, the frontbench of the opposition has not shown any attempt to fill the leadership gap. It has continuously fudged its Brexit policy and has failed to take part in any meaningful dialogue with other opposition parties on how to proceed with the Brexit issue. Backbench MPs have taken the measures they have out of desperation and, in a system that is culturally familiar with strong party majorities, we should not be surprised at the messy process and outcomes that result. How Brexit will ultimately be resolved is anyone’s guess, but it is quite clear the government has lost significant control over the process and outcome of Britain’s biggest foreign policy issue. Rebellious backbenchers have tipped the balance of power and given Parliament control of Brexit, constitutionally acceptable but undoubtedly an odd state of affairs for those familiar with the traditional study of British foreign policy. This post represents the views of the author and not those of the Brexit blog, nor the LSE. Image by UK Parliament. 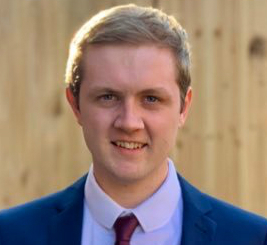 Thomas Eason is a PhD International Relations student at the University of Nottingham.